“Taverna” is the Greek word for tavern…. not just a restaurant or a bar, but BOTH – with entertainment, dancing and music! How should you act at a Taverna? Well, generally you gather with friends and family at Taverna Plaka to eat, drink, converse, laugh, dance and party! So, have fun, enjoy and share your plate with a friend. What is Plaka? It is Athens’ oldest and most colorful neighborhood. It is at the heart of the city and as you walk down its stone-paved, narrow streets, you feel as if you’ve traveled back in time – experiencing first-hand the history of Athens and its people. The Taverna in the front room accommodates larger parties and is available for private dining events. 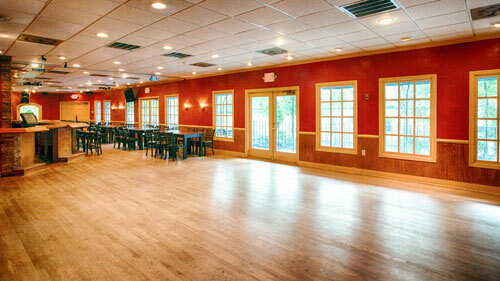 The Taverna also features a full bar and room for dancing. 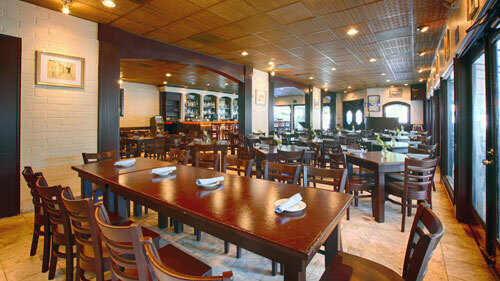 The Cafe at Taverna Plaka in the back room accommodates many guests and is available for private dining events. The Cafe features a full bar and room for dancing. 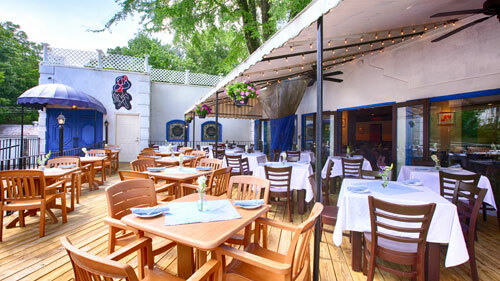 Our covered patio is also available for private dining events. The Taverna Plaka staff is happy to assist you with all the necessary details for your event – whether it a social celebration or a business function. We can make arrangements for audiovisual services, entertainment and flowers. We will design your event so that it suits your special needs and budget. Join us for Atlanta’s hottest late night! Just like the Plaka in Greece, dining always turns into a celebration at Taverna Plaka. Celebrate with great food, Greek wines and great friends. Late night at Taverna Plaka begins at 10pm with our DJ spinning hip Mediterranean music, our bartenders pouring generous glasses of Ouzo, other popular drinks and of course, Greek dancing featuring exotic belly dancers and the Taverna Plaka staff. 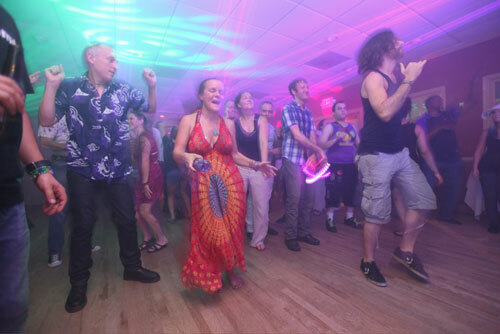 It’s easy to get carried away by the rhythm of the evening – Don’t miss the experience of throwing napkins and screaming “Opa” – we invite you to join in the fun! Copyright ©2014 Taverna Plaka, Inc.